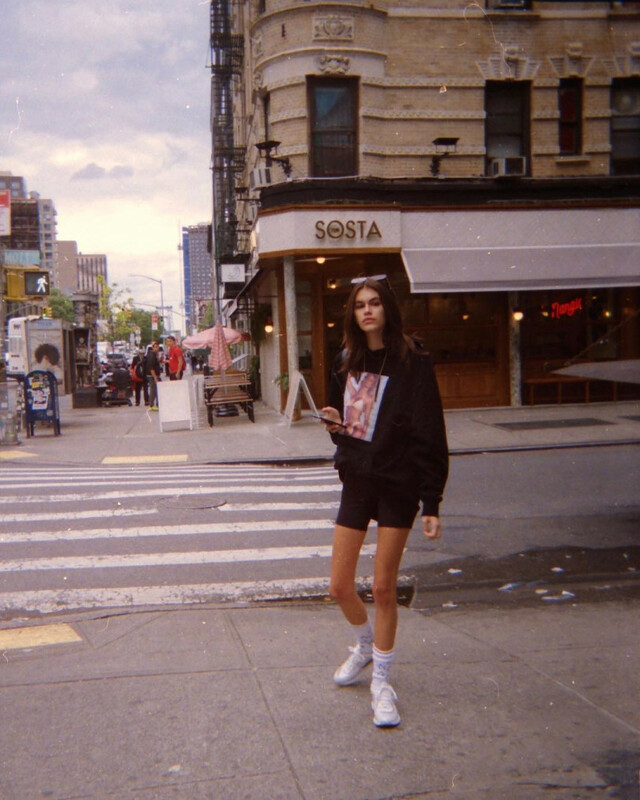 The daughter of the legendary supermodel of the 90's Cindy Crawford, Kaia Gerber shocked fans with her appearance. Kaia Gerber weighs only 42 kilograms! The girl thinks that she is not thin enough and she continues to starve herself. Many are sure: the young model is on the verge of becoming anorexic. Kaia Gerber - daughter Cindy Crawford has every chance to outshine her stellar mother. In any case, 16-year old girl is one of the most popular models. But, probably, the rising star is so fanatical about her career that she completely forgot about her health. She thinks that she is not slender enough and is constantly losing weight. In the 16 years at growth of 175 cm she weights 45 kg. The legs of the young model look like matches, many are sure that anorexia has already begun. Fans note that Kaia is too obsessed with diets: "Why do you starve yourself ? ", "And where do parents look?" - ask her Instagram followers. 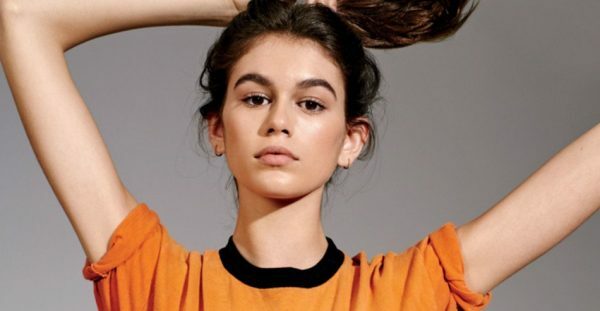 At one time, Cindy Crawford often said that she did not want her daughter to become a model, but she did not resist Kaia's choice, because fashion is in Kaia's blood - both mother and father in the past worked as models. Now the girl participates in the shows of famous fashion designers and became the face of top brands. Here, for example, not so long ago, black-and-white photographs appeared in which Gerber is seen holding the main it-bag of 2018, Chanel's Gabrielle and several other iconic accessories of the French brand. The shooting was organized in the apartment of Coco Chanel in Paris, and the author of the photos was Karl Lagerfeld himself. Recall, last fall, it became clear, that the 16-year-old aspiring model Kaia Gerber became a muse of Chanel creative director Karl Lagerfeld. At her first Fashion Week in Paris, Cindy Crawford's daughter opened a show of the French brand. However, it's not just a rare opportunity and a sudden breakthrough, it was just the first step in a series of fashion events, associated with the fashion house. Now the German fashion designer has chosen Kaia for an advertising campaign of bags from a spring-summer collection. Let's remind, that in December Kaia became the star of a special Chanel show in Hamburg, and in January walked down the runway at Fashion Week. "When Carl first told us about his idea to cooperate with Kaia, we were delighted by the incredible potential and strength, which are the two people can bring to the collection," - shared time executive director of the brand Karl Lagerfeld. By the way, the girl is considered the muse of this designer. They even work on their first joint collection of clothes, accessories and shoes (according to some sources, it will be released in September). But, let's hope that by that time Kaia will be smarter and stop starving herself, because now such leanness is no longer in fashion. Is this coming from Kaia's role model mother? At one time, Cindy Crawford also was on diets. As she told, she ate only cucumbers to lose 5 kilograms. Or is this horrendous leanness really turning into an illness? Fans of the model are seriously concerned about the health of the young beauty. Many believe that the 16-year-old Kaia has anorexia. A new photo, which recently appeared on the blog of Cindy Crawford's daughter, even more frightened her fans. In the picture, the girl is seen posing in short shorts, and her legs in black stockings look like matches. Anorexia is close: Kaia Gerber came out in a black mini and provoked rumors of a disease.